My Half-Price Flat in Bristol. My good friend Sam Collett originally alerted me to this deal in Easton, a ‘culturally diverse’ area in Bristol popular with Somalis, Asians, druggies and alcoholics, as well as slightly bohemian middle-class white people who like the edginess of it. It’s cheap but far from the cheapest part of town. 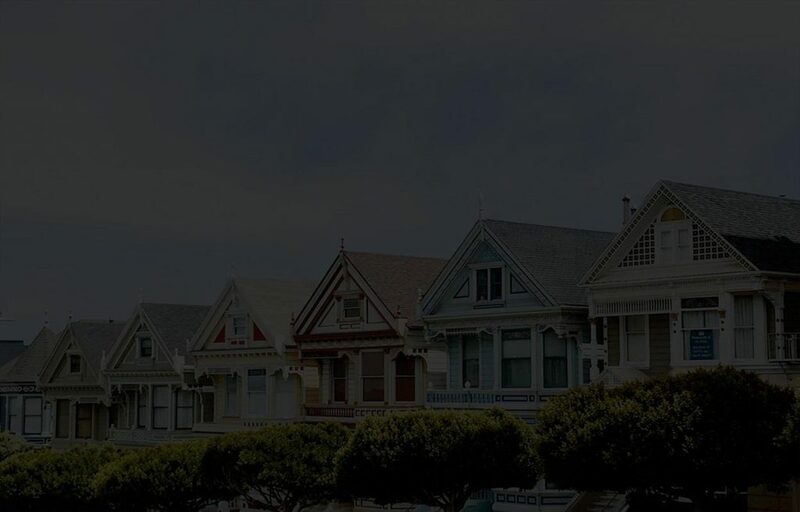 I lived there myself for six years. There are occasional stabbings and shootings but mostly these people know each other so I never felt at risk, even late at night. It was advertised as a 2 bed GFF with no access to view, and had been squatted twice, so possibly in need of complete renovation. The estate agents had put a Sitex security door on then lost the keys!!! Now I’m not a man to let a little thing like security doors stop me from viewing, so I had a plan! On a drive-by noticed the door open. I assumed it was the squatters so called out, there was a lot of clattering about and they couldn’t hear me so I let myself in and went upstairs. It wasn’t squatters but a couple of beefy guys installing another Sitex door on the top flat! They were a bit surprised to see me but let me look inside when I explained why I was there. Anyway, the flat looked a real mess but didn’t need much work, less than £5K. 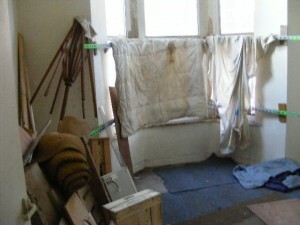 But… the squatters had previously got in through the roof from the adjacent house, which was also squatted. And… they went in again. This could clearly put off the other buyer who I assumed had shut me out. 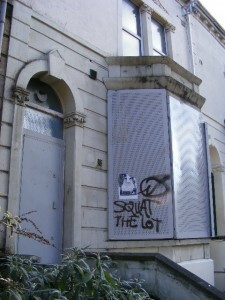 I like to chat to everyone, and squatters are human beings like everyone else. If you find out what they want, you can negotiate with them. I got to know them a bit, offered to take them out for breakfast etc. They were basically middle-class kiddies from Clifton who’d smoked a bit of weed and run feral. Then the other buyer turned up, he wasn’t happy, but eventually we sat on the wall and chatted and I realised he was a decent guy. It wasn’t his fault, he hadn’t shut anyone out – that was the estate agent making life simple for themselves. He’d been going to buy both remaining flats with a Mr Ali, who’d pulled out when the squatters re-appeared. He wanted to take a look inside to check the condition of his other flat in the block. I felt sorry for him and wanted to help, but obviously the squatters wouldn’t let him in. As I’d already gained their trust, they let me in with his phonecam so I took pictures of everything for his reassurance. He made it pretty clear they had to leave within 7 days by IPO or ‘other means’ and as this guy is ex-Parachute Regiment they got the message. Anyway, he’s also called Richard and I really like him! I thought I might end up in a bidding war, but Richard invited me into a JV in place of Mr Ali. He put pressure on the auctioneers/ asset manager with legal threats to sell the flat. 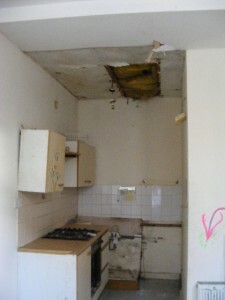 His flat suffered water damage when the squatters turning on a leaking system and they could be liable for damages. He’s a great negotiator because he’s already made his money and is very ready to walk away. So we got it for £32,500, £2,500 below guide! It sold for £62,500 in 2003 and current value is C£70 – £75K. Another investor bought the basement much earlier. He’s paid £57K all in, still a good deal. I told Richard not to tell him what we’d paid as I don’t like to gloat, but he did anyway. He employed a really poor letting agent, but they got him no tenants. So he put it on gumtree and lots of people showed up, queuing outside! He must have been desperate as he let it to the first people who accepted it, including a shaven-headed character complete with neck-tattoo. He didn’t see the lovely, polite, well-spoken young couple who were waiting outside. They really wanted it as it’s just 5 mins cycle from the city centre where they work and they don’t have a car. I offered them my much nicer suburban flat in Hanham for the same money but they didn’t want it!!! So we have nice tenants lined up as well.